Per the town DPW, grass fields are open for BASEBALL/SOFTBALL ONLY today. Lower Oakwood is open for use as scheduled. SDP is ON as scheduled at Salt Brook fields. Teams who practice on grass, please look out for information from your individual coaches regarding your practices today; we are making additional space available at Oakwood to those teams affected by field closures. Make sure your uniform arrives in time for the spring season. The website is now open to ORDER YOUR UNIFORM. If your uniform fits properly, no action is needed beyond trying it on to confirm it fits (remember to check the socks). Grades K-2 (Micro and SDP) do not need to order a uniform, they will be given a uniform top on the first day of the season. League rules require matching (Jersey, Shorts, Socks) uniforms. Players will be ineligible for games until they have the NPSC approved uniform. Once again, we are pleased to partner with Go Soccer for our uniform and equipment needs. If you know the jersey number of your player please enter it when ordering. If you do not know your uniform number, please leave this section blank and Go Soccer will manually add your assigned number. This prevents issues with playing up or when teams have multiple birth years on same team. Odd year birth years are assigned odd numbered jersey's and even birth year are assigned even numbers. For example, 2009 Birth Year, will be assigned 1, 3, 5,...etc. and 2010 Birth Year, will be assigned 2, 4, 6...etc. The Spring 2019 Season is just around the corner. The website is now open to ORDER YOUR UNIFORM. Ordering instructions for (New or Replacement Uniforms) are below, as well as on the NPSC website along top under the "Registration" tab. If you have any questions please email registrar@npsoccerclub.org. If you haven't already done so, please take a few minutes to complete the following survey pertaining to NPSC summer soccer. We have just been informed by the Rec that Oakwood is closed for Sunday November 18th. If you have a home game on Oakwood, it is cancelled. Coaches/Managers - Please inform your opponents. We have been informed by the Borough that all fields - including Oakwood - will be closed tomorrow. As such, all games and practices are cancelled for tomorrow. All grass field are closed today October 10. Practices are cancelled. Please be advised that there will be no Open Skills tonight. The season's last session was last Friday. NPSC wishes our New Providence High School soccer players good luck in their North 2 Group 1 Championship games. Please come out and support our NPHS teams. #letsbeattheridgers! UK Elite practices are ON for today (11/8/18) and will be held at OAKWOOD. Please note that the original practice times apply for today: 4:00 - 5:30 & 5:30 - 7:00 pm. UK Elite practices are ON for today (11/6/18) and will be held at OAKWOOD. Thursday practices will also be at Oakwood and will follow the original practice times. A courtesy reminder will be sent out on Thursday. 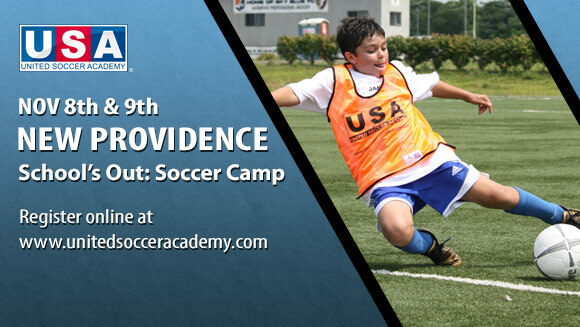 If you have any questions, please contact United Soccer Academy on (732) 563-2525. Please note that UK Elite practices will be held on LINCOLN today. Just a friendly reminder that there will be no UK Elite practices today, 10/31/18. For those families that missed Picture Day and want individual pictures of the child, please contact secretary@npsoccerclub.org so that arrangements can be made with the photographer. Practice sessions for today (10/30) will be held at Warner Field. Lincoln and Hillview remain closed. This is a big week for the varsity soccer teams with the first round of playoffs beginning. The boys have a game today on Lieder starting at 4.30pm and the girls play tommorrow on Lieder at 4.30pm. Please come out and support the teams. I wanted to write a quick note for this weekend. The on again, off again paving of the Oakwood parking lot is on again. Despite our requests to pave during the week, the boro has decided to start paving today closing the parking lot over the weekend and on Monday. We have been told that all activities on Oakwood lower from Friday afternoon 10/26 until Tuesday afternoon 10/30 will be limited to DROP OFF ONLY PRACTICE , No games. Given the logistics involved, we have had to cancel the open skills session tonight. Additionally, with the Nor'easter hitting this weekend, all practices are cancelled on Saturday including those on Oakwood in the afternoon. The Boro has also closed all grass fields until Monday. We will therefore have to cancel all small sided and developmental HOME games this weekend. As the boro has permitted limited practices, with drop off only, we have created a signup genius for practices on Sunday. Your coaches will receive a link. The Club has been informed by the NP DPW that Oakwood's parking lot will be paved beginning today, 10/26/18. As such, Open Skills will be cancelled tonight. Tomorrow is Jersey Friday! All NPSC players are encouraged to wear their jersey to school tomorrow and every Friday! Tomorrow is NP Soccer Day! Join us tomorrow for NP Soccer Day! Donations of used soccer equipment (jerseys, cleats, shin guard etc..) will be collected throughout the day by the NPHS chapter of TEENS4REFUGEES. This event is open to all members of the New Providence and surrounding communities as well as all members of New Providence Soccer Club. For participation in the clinic, please dress appropriately. Cleats and shin guards are required. It is also important to bring a soccer ball and water. Look forward to seeing everyone out at Lieder tomorrow! NP Soccer Day - THIS SATURDAY! Join members of the NP Soccer community this Saturday at Lieder Field for our Inaugural NP Soccer Day! Watch the NPHS Varsity Girls team take on Kent Place at 10am and then join our NPHS coaches and players for a FREE Soccer Clinic. The NPHS chapter of TEENS4REFUGEES will also be on hand collecting used soccer equipment. We are sorry to advise that all grass fields will be closed for the weeekend. The SDP program at Salt Brook is cancelled due to field conditions and weather this morning. Team coaches were given the opportunity to utilize Oakwood this afternoon for practices. NPSC teams should follow their coaches communications regarding practices. Team pictures are still on at Bard Field. Due to the wet weather, all grass fields are closed. Today's practices are canceled. Picture Day will be on October 13th from 10 am to 4 pm at Bard Field. The team times for photos are below. If you do not see your child's team name please contact your team's coach. Also attached is the oreder form for pictures. Attached is the field lining schedule for your team. Please assign a parent volunteer to cover your weekend. 1) Hillview practices cannot be on grass. Please move your practices to the turf infield. No change in the timing of practices. 2) All Lincoln practices will now be on Bard. No changes in the timing of your practices. Please note this is for October 6th only. The first Friday of every month is "NPSC Jersey Friday". Please have your kids wear their NPSC jersey to school tomorrow and every first Friday of the month. Picture Day will be recheduled to October 13th. The times that your coach/manager selected will be the same. Grass fields remain closed. Practices for today, Thursday 9/27, are canceled. With heavy rain expected tonight, we are preparing for grass fields to be closed on Saturday as well. Coaches will receive an email regarding available practice slots @ Oakwood Park. Grass fields are closed today (no surprise). All practices are canceled. NPSC is working on getting resources to run extra practices tomorrow on the turf. More information will be sent out as soon as we have it. Some important updates for this weekend. Grass fields remain closed. Tomorrow's practices on Lincoln, Hillview and Bard are canceled. NPSC has worked with the other sports clubs and the BOE (Thank you Rebels Lacrosse, PAL Football and NPHS Athletics Department!) to get some extra field time on the turf at Oakwood and Lieder. Our coaches have a sign-up-genius available to them to reserve some field time. It may be hectic but we will have space to get all teams a practice. Please arrive a little early for check-in. Lastly, don't forget about Friday Night Open Skills. TONIGHT! 7:15-8:45 at Oakwood Park. All players on teams U9-U15 are invited. The DPW has closed all grass fields until further notice. Practices are canceled for Thursday Sept 20. Just a reminder, NPSC's Open Skills will be held again this Friday night - 7:15PM-8:45PM @ Oakwood. Open Skills is a great oppotunity to get out and practice! All players on teams U9-U15 are invited to come out and play. Hi NPSC - Just some quick annoucements for you all. Come out tomorrow and support our High School soccer teams as they take on local rivals Governor Livingston. Our NPHS Girls Varsity and JV will play GL at home. 4:00PM on Lieder and Miller fields respectively. Our NPHS Boys Varsity, JV and Freshman teams all play away at GL also at 4:00PM. NPSC's Open Skills will be held again this Friday night - 7:15PM-8:45PM. Open Skills is a great oppotunity to get in another day of practice! All players on teams U9-U15 are invited to come out and play. Good luck to all our teams this weekend! Due to the continued wet weather, grass fields remain closed. All practices for today - Tuesday 9/18 are canceled. Due to the prolonged wet weather, all grass fields are closed until further notice. Day 1 of the Skills Development Program at Salt Brook field is canceled. All Saturday practices on grass fields (Lincoln/Hillview/Bard) are canceled (NPSC coaches will get an email about utiziling Oakwood Field on Saturday). Friday night Open Skills will run tonight as scheduled: 7:15-8:45PM @ Oakwood Field. NPSC is pleased to be able to offer Friday Night Open Skills sessions for all NPSC Players (travel and select, 3rd-8th grade). Come out each Friday night from 7:15-8:45PM @ Oakwood Field for an extra session of soccer training under the Oakwood lights. Open Skills will begin this Friday, 9/14 and be held each Friday night through the fall season. Be sure to come and have some fun playing soccer under the lights. Due to current thunderstorm activity and thunderstorms forecasted until 9PM all NPSC practices for today, 9/12 are cancelled. If your child is currently at Oakwood, please pick them up ASAP. All players are waiting under the pavilion at Oakwood. Today September 11, 2018 due to the weather, all grass fields are closed. Due to the weather, all grass fields are closed today. Welcome to the Fall 2018 Season! Good luck to all our teams playing their season opener or in a tournament this weekend. NPSC will host 5 home games on Sunday.